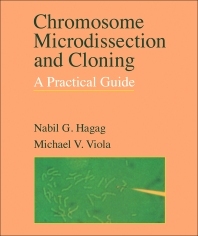 Chromosome Microdissection and Cloning: A Practical Guide is a straightforward guide to chromosome microdissection and cloning. It presents an overview of the procedures and briefly reviews a few areas of research in which these techniques are applied. Topics range from preparation of chromosomes for microdissection to molecular cloning of microdissected chromosomal DNA. Methods of chromosome microdissection, including video microscope method and oil chamber method, are described. Comprised of five chapters, this book begins with an overview of the structure and organization of chromosomes, followed by a description of methods for preparing and preserving chromosomal DNA in a manner that is useful for cloning and direct analysis. Microdissection of metaphase chromosomes and isolation of fragments can be accomplished in one of the three ways described in the next chapter: by microdissection using an upright microscope and glass capillaries in an oil chamber; by laser microbeam; and with the use of an inverted microscope equipped with a video camera and high magnification-high resolution lenses. A step-by-step guide to these techniques and solutions for common problems are given following each method. Protocols for cloning and identifying genetic sequences from defined chromosome regions, particularly using the polymerase chain reaction, are also discussed. The final chapter focuses on applications of chromosome microdissection, such as cloning of disease-specific genes and generating "sequence tagged sites" to be used in large DNA sequencing projects. This monograph will be particularly helpful to investigators setting up microdissection systems de novo.